Give the holidays a jingle with your very own Santa’s Bell. 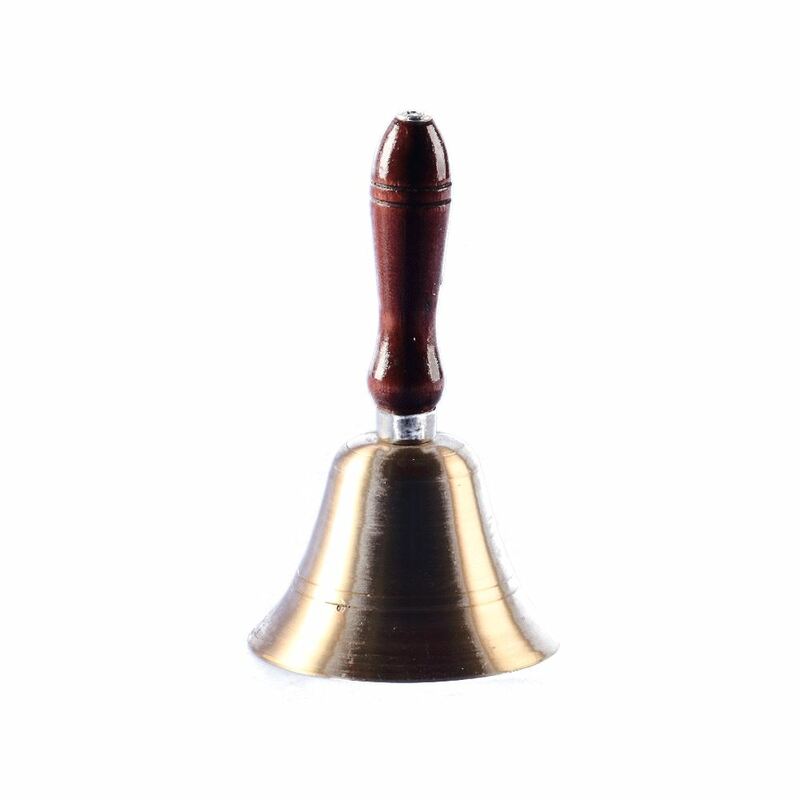 This beautiful brass bell measures approximately 10cm wide by 18cm in height. Each delightful bell is affixed with a black wooden handle and will resonate holiday cheer every time you use this clever piece. Ring in the Christmas season with this charming accent item, and consider giving it to a collector for a unique and appreciated gift idea. The festive season just wouldn’t be the same without the rich sound of holiday bells, and this sweet bell is the perfect piece to accompany your home’s themes and decor. This is a simple item, but so sentimental in its basic construction and quality craftsmanship. As lovely as it is on a shelf or in a display, it is the familiar sound of this quaint accent item that truly makes it a must-have this season.